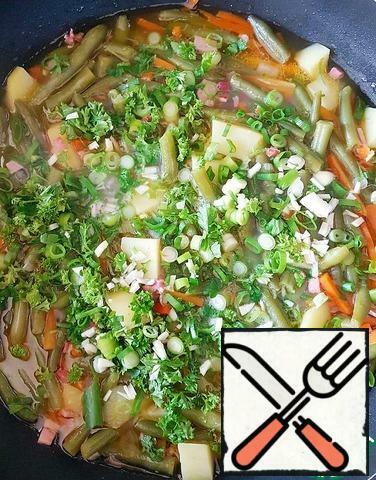 I suggest you try a cold autumn evening very hearty, warming, fragrant and incredibly tasty dish of green beans. 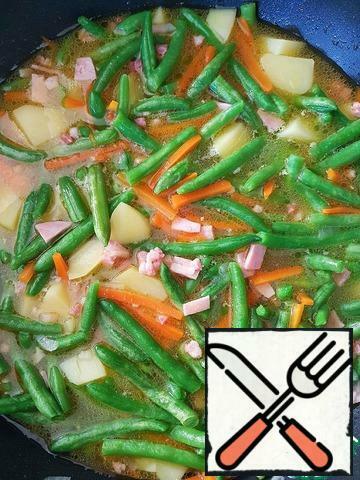 The dish belongs to German cuisine. 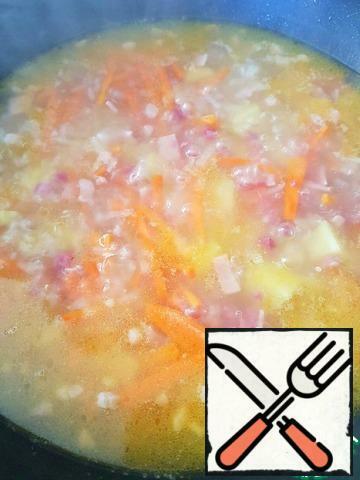 Finely chop the onion, sausage or sausage medium-sized pieces. 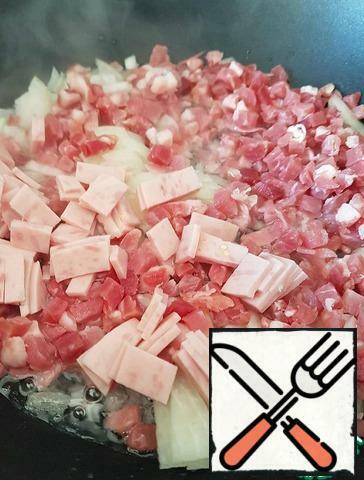 In a pan with high edges or in a pan with a thick bottom fry bacon, sausage and onions. 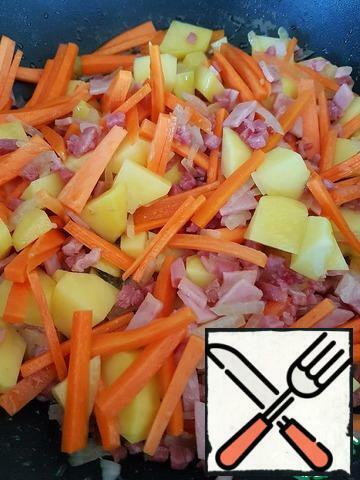 Carrots cut into strips or small cubes, potatoes into cubes. Add to the pan, stir and fry all together for about a minute. Add broth or boiling water. 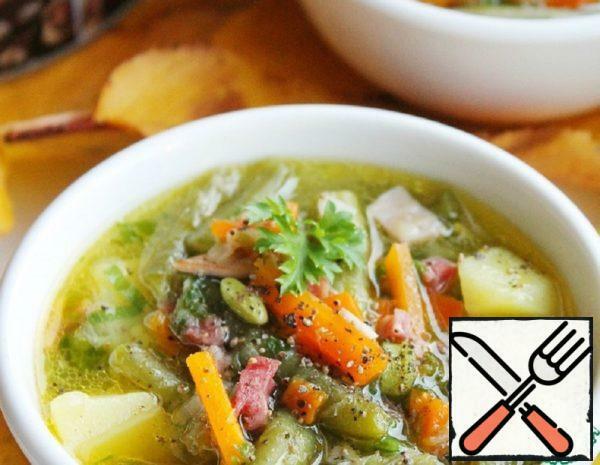 The amount depends on how thick you like the soup. In the original, indicated 1 l broth. Cook for 10 minutes. Add the beans to the pan. Bring to a boil, reduce the heat to a minimum and cook under the lid for 15 minutes. It needs more salt, if required. Add greens and chopped garlic. Let it brew for a while.